Morgan Wallenis inspired and hungry, and it keeps him pushing forward to new heights, like the ones he’s reaching right now with his hit single, Up Down. I caught up with the Sneedville, Tennessee native in Toronto at BATL to throw some axes and talk about the single, his new album, and being on his first stadium tour with Sam Hunt, Jon Pardi, and headliner Luke Bryan.Immediately it was clear thatMorgan a laid back guy who is having the time of his life making music. But as chill as he is, he wants more. Just minutes before we sat down to talk, Morganwas surprised with agold plaque for Up Down, his first in Canada, to match the same gold status that the single has reached in the United States.The smile on his face when he received the gold was genuine, and it was awesome to see. The single is a collaboration with superstarsFlorida Georgia Line,and with more than 37 million spins on Spotify, to go with 25 million plays of the video on YouTube,it’s safe to say that it’s a fan favourite. We talked about the country music fans embracing the song and his music, and he told us that he really knew that it had happened this spring on his own tour.Morgantold me that about halfway through the tour dates he was able to look out and see the crowd singing along with him. It’s a feeling that a lot of artists have trouble explaining because it’s not comparable to anything else in everyday life – but it’s one that Morganknows he’s ready for more of. Off the top, we talked about Morgan’shunger and inspiration, and as we spoke it became apparent that he’s taking cues in those areas from artists like Florida Georgia Line and Luke Bryan. He talked about FGLand how they continue to push forward, even after finding as much success as anyone could hope to in country music. And beyond even the hit singles and tours, he talked about songwriting and how he wants to emulate Tyler Hubbard’swork. The history of music is littered with examples of successful young artists who think they’ve got it all figured out and that they can coast by doing what they’ve done so far. Morgan Wallenisn’t one of those artists. The more we talked, the more clear it became that he wants more. Bonus: While we had Morganwith us we played a quick round of 5 Quick Questions… check it out! Q1 ) If you’re on a road trip and can only play one album on repeat, which album do you choose? Q2) Do you remember the first album you bought? Note: Morgantold us that it’s an answer that a lot of people don’t expect from him as a country singer – but we love it. The reality is that we’re in a great generation for music and the ability to love artists and songs from all genres. Note: Morgan wasn’t quite ready for this one, and while he did settle on Fuji… it was pretty obvious that he could be talked into other tropical spots as well. Q4) What is the one thing you need to have when you walk into a writing session? MW) Morgan told us that what he needs isn’t a thing, it’s more of a vibe. He needs to feel comfortable and connected to the people he’s writing with. The ability to be open with ideas and feelings allows for those fringe ideas he might not be sure about to come out without fear of them being shot down, and with the possibility of mining them for gold. Q5) Is there an artist, in any genre, that you think people should be paying more attention to? Wallen’sdebut album, If I Know Me was released on April 27, 2018… and it’s good. The 14 tracks (including Up Down and his 2016 breakout hit, The Way I Talk) are an excellent showcase of his voice and songwriting (he’s credited as a co-writer on six songs). We talked a little about the process, specifically on his songs, and echoed a story we’ve heard from other artists before… some of the songs were written nearly two and a half years ago when Morgan first moved to Nashville, and some of them weren’t finished until the day before they were recorded. That’s just the way it is. On top of being proud to release the album, and happy to have his music and voice shared with the world, Morgansees the songs on If I Know Me as a chance to bolster his live show. 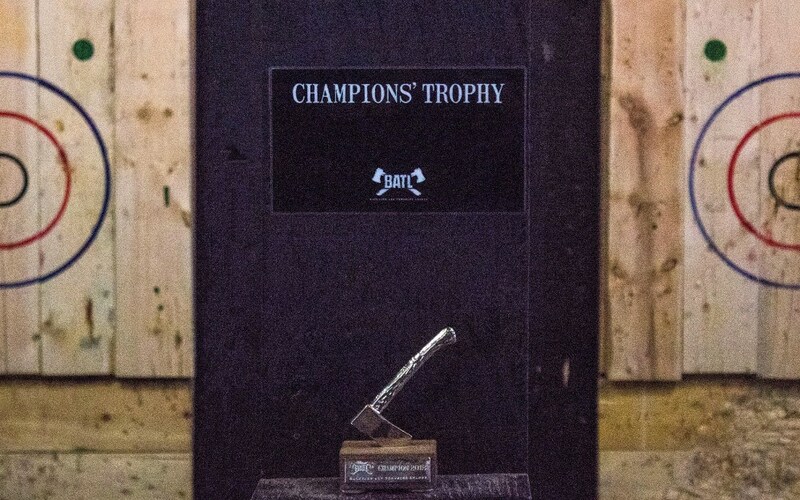 Note: The Axe throwing tournament ended with a trophy being handed to the winner. And the winner was me. I’d gladly throw with everyone in the group for a rematch any day. 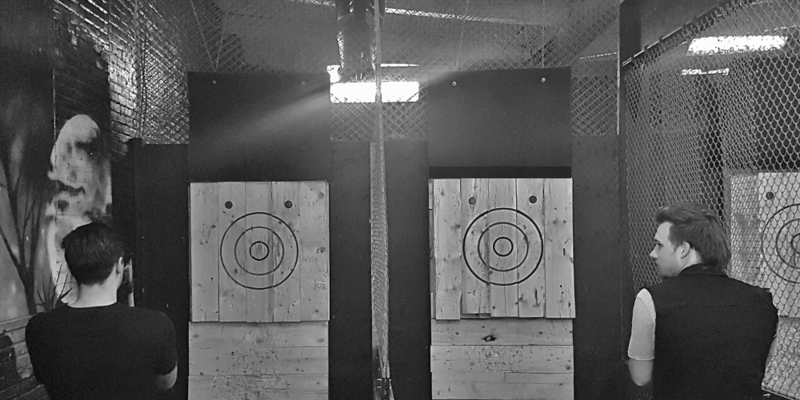 Also, if you’ve never been axe throwing, get on it. Check out batlgrounds.com to learn more and find a location. He talked about the challenge that came with playing 60 to 75 minutes with only half a dozen of his own songs that anyone had ever heard. But now, with those previous singles and his newly released material, the show can be beefed up and Wallen is ready to show it all off. On Thursday night in Toronto, he’ll get the chance to do that when Luke Bryan’s What Makes You Country Tour (XL Stadium Sized) fills the Rogers Centre.And armed with a brand new gold plaque we’re guessing that he’s going to see and hear some strong singing voices from the GTA’s country fans. We know he’s ready for this. He knows he’s ready for this. And soon, country fans all over Canada and the United States are going to know he’s ready for this and a whole lot more. 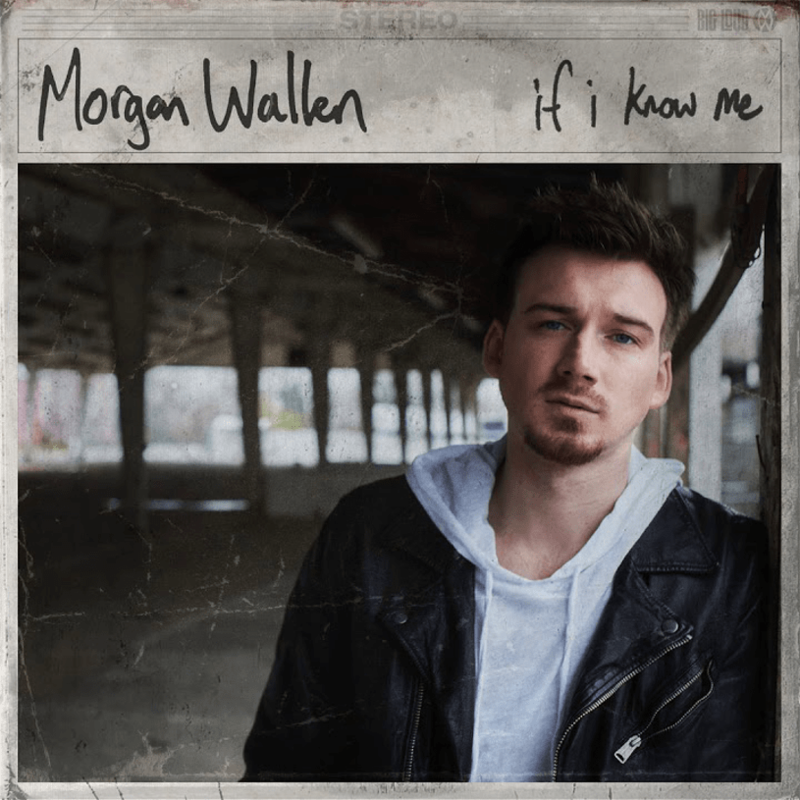 Hit play on the stream to listen to Morgan Wallen’sdebut full-length album, If I Know Me – and stay up to date with his live show dates, behind-the-scenes action and more through his website and social media channels.